Secretary General Guterres said that the International Day of Solidarity with the Palestinian people served to "remind us of our collective and unfinished task" to create a Palestinian State. 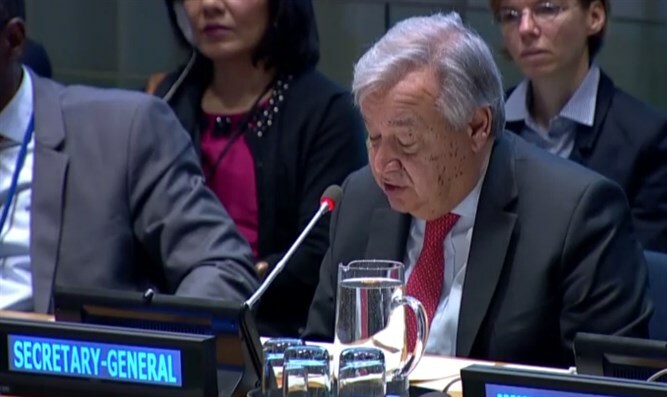 Guterres criticized Israel for "demolitions, continued settlement construction, and evictions" and stated that eastern Jerusalem must be the capital of a Palestinian Arab state. The PA chairman called the partition vote "unfair" and stated that the decision was made "without the consent of the Palestinian people." Abbas accused Israel of "Apartheid," of refusing to live up to its commitments under the Oslo accords, and of "colonialism." He called on the United Nations to end the "double standards" under which he said Israel was not required to abide by UN resolutions. Henry Suarez, the representative of the Non-Aligned Movement from Venezuela, also spoke at the meeting and accused Israel of attempting to "change the character" of Jerusalem and called for the international community to hold Israel accountable for its alleged "violations of international law."